Marie and Simone, friends for decades, were once immigrants to the city, survivors of World War II in Europe. Now widows living alone in Chelsea, they remain robust, engaged, and adventurous, even as the vistas from their past interrupt their present. Helen is an art historian who takes a painting class with Marie and Simone. Sid Morris, their instructor, presides over a dusty studio in a tenement slated for condo conversion; he awakes the interest of both Simone and Marie. Elizabeth is Marie’s upstairs tenant, a woman convinced that others have a secret way of being, a confidence and certainty she lacks. She is increasingly unmoored—baffled by her teenage son, her husband, and the roles she is meant to play. 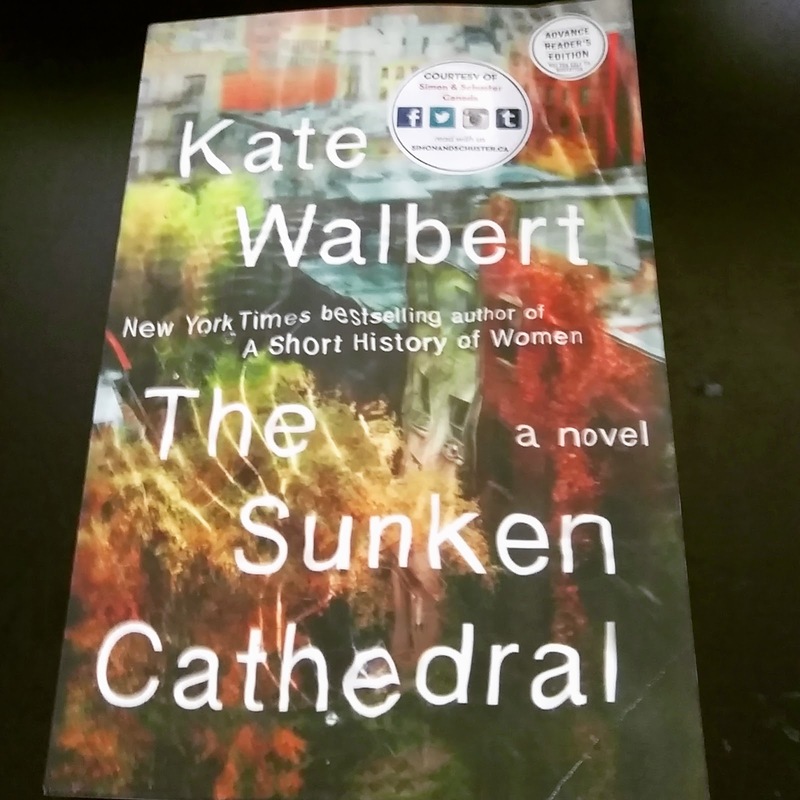 When I was checking out Simon & Schuster's summer releases, I added The Sunken Cathedral to my TBR list. The description really peaked my interest. When I found out I won an ARC of the book through a Goodreads giveaway I added it to the top of my April pile because I was so excited despite the fact that it doesn't get released until June. Unfortunately, for me, the book was not what I hoped it would be. I found it really difficult to get into as the story jumped from one character's perspective to another with no connections in between. I would have liked to be able to relate to the characters more than I did. The book also included footnotes often about the characters' past. They were quite lengthy causing me to lose my place in the book and having to reread entire pages. My low rating for this book was because of my inability to enjoy the story due to the writing style. It was just too scattered for my liking. I think I would have enjoyed this book more if it were a collection of short stories rather than a novel.